This book is an old favourite of mine. When I came across it on sale a few years ago in the Daedalus catalogue, I bought a bunch of copies to give to friends. And while this book is not about martial arts per se, I can’t help feeling that what Mr. Schultheis has to say is important to all martial artists and those involved with peak athletic performance. 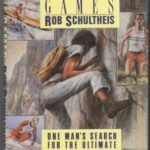 While mainly focussed on high-risk sports and survival situations, I think most readers will be fascinated by his obsessive search for the consummate mind-set in which the seemingly impossible is accomplished with ease. This experience sets the author off on a quest to find the key to this altered state of consciousness. And what a quest it is! He ranges from Shamanism to long-distance running, mountaineering in Nepal, Plains Indian vision quests, and survival at sea. He doesn’t specifically deal with Martial Arts, but the state of consciousness he seeks is known by various terms such as “muga-mushin” in the Japanese Martial Arts. More recently Mihaly Cziksentmihaly has researched what he calls the “Flow” state and written extensively on it. While Schultheis doesn’t seem to come to any firm conclusions, it’s certainly not through a lack of effort, and it sure is fun being along for the ride. For many years this book has had an honoured place on my shelf of martial arts books that I consider outstanding for one reason or another. I was just trying to work out when and where I had bought my copy. I think it must have been in 1974 at the tiny Tuttle Bookstore on Yasukuni dori in Kanda, Tokyo. It was immediately obvious that this was no ordinary martial arts book. I entered an enchanted world, a mixture of philosophy, legend, larger-than life characters, discussions of fighting techniques, and digressions on almost every subject under the sun. There are no two ways about it, either you’ll love Smith’s discursive style or hate it. I consider myself fairly well read, but in this respect, and I suspect in many others, I have to bow my head to him. Who else would, or could, write a martial arts book with quotations from Constantine Brunner (a German philosopher), Michael Fokine (a Russian ballet master), and Bertold Brecht ( a poet and playwright) ? What characters he talks about! And what stories he tells! Some are now household names in the world of Chinese Martial Arts. Cheng Man Ch’ing, Smith’s revered teacher, the man of the Five Excellences; Hung I-Hsiang, the Not so Little elephant; the wrestling champion Shang Tung -sheng; the great Wang Shu Chin, master of Tai Chi, Hsing-I and Pa Kua; and the Shaolin master, Kao Fang Hsien; to name just a few of the fascinating characters that Smith writes so compellingly about. Chen Man Ch’ing later moved to the United States and had a profound effect on the spread of Tai Chi in America, and indeed, through the Western world. I imagine that his ‘Short Form’ is one of the best known and most widely practiced forms of Tai Chi in the world today. Smith’s book brought many of these figures to the attention of Westerners for the first time, and so had a profound effect on the course of the spread and development of the Chinese martial arts overseas. Shuai Chiao (traditional Chinese wrestling) for example, appears to have undergone something of a revival recently, after almost being eclipsed by Judo (I would speculate that this was the result of the long Japanese occupation of Taiwan). I would imagine that this revival is in at least partly due to the publicity given to Shuai Chiao in Smith’s book. There are a host of fascinating anecdotes about great characters: the boxer Shang Yun-hsiang, “so poor that he daily walked barefoot twenty miles to and from his home, doing all the while the bamboo style peng ch’uan ( a half step ) of Hsing-I, his shoes slung around his neck” (p 57); the story of the boxers from Hsilo performing in the courtyard of a temple for four hours in driving rain (p 102); and Ch’en Chin Sheng, who “at noon each day would leave for lunch in an eccentric way: he would stroll out the (second story) window, land on the sidewalk, and walk away” (p 89). This is a book that demands a certain amount of investment in time. For me, dipping into this book is like spending time with an old friend, and I suggest you approach it like that. Pick an evening when you are free from interruption, find a comfortable chair, pour yourself a glass of your favourite beverage, and settle down to enjoy the good company and wise conversation of an old and treasured friend. As the adage has it: old books, old wine, old friends, these are best. If you haven’t read this book yet, prepare yourself for a treat. I consider this one of the best martial arts books that I have come across for some time. 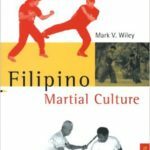 Mr. Wiley has done a tremendous amount of research, and all those with an interest in the Filipino martial arts have reason to be grateful to him. Inspired by, and in some ways reminiscent of R.W. Smith’s Chinese Boxing: Masters and Methods and Donn Draeger’s The Weapons and Fighting Arts of the Indonesian Archipelago, Wiley’s book puts the Filipino martial arts firmly in context, giving us not only portraits of some great teachers, but a good deal of valuable historical and anthropological data concerning these arts. Although this is not a teach-yourself type book, Mr. Wiley has also included photographic sequences to make his points. To be blunt, this book is far ahead of the average book on martial arts, and despite a few odd glitches, I have no hesitation in recommending it as a superior and very worthwhile book. While the book gives us an excellent introduction to the history and cultural background involved, and attempts a classification and clarification of the multitude of Filipino arts, it is probably Part 4, the sketches of 18 contemporary masters, that most people will find most interesting, and refer to time and again. What amazing stories these men have to tell us. There is a wealth of information here for those who take the trouble to read it. We learn how and why these men began to study their arts, their trials and tribulations, how their ideas changed and progressed, and how they created their own systems. I must say I was quite surprised at the number of these masters who had learnt some form of karate at some time or another. It was quite fascinating to read their life stories, the tales of their involvement with a variety of martial arts, the stories of street altercations, and their various war experiences. This record will be an invaluable starting point for future researchers. There is an oft repeated story that it was the ferocity of the Filipino warriors that was responsible for the introduction of the more powerful Government Colt .45 in 1911. Be that as it may, there is sound justification of the reputation of Filipino fighters as men who are hard to stop (one thinks for example of Ward’s Ever Victorious Army during the Taiping Rebellion, which was composed at one stage mainly of Filipinos – and Wiley’s discussion of juramentado touches on this (see pp. 79, 80). However, I beg to disagree when Mr. Wiley concludes that the juramentado is not the same of amok behavior. Let me quote from the book here: “The method of attack of the juramentado was to approach the largest group of Christians possible and shout to them from a distance with the Arabic phrase, ‘La ilaha il-la’l-labu’ (There is no God but Allah). The kris or barong was then unsheathed and a rush was made, each juramentado hoping to kill at least one Christian before he found a martyr’s death.” Wiley goes on to state, “Often confused with the practice of running juramentado is the custom so prevalent among Southeast Asian people, of running amok. Running amok has no religious significance, and is called manuju by the Moros. This practice occurs when a native has what is called a “bad head,” which finds him temporarily insane. In my opinion, forms of amok are universal. The Viking baresark or berserk, the battlefury of the Celts, the Zulu ishinga, the Filipino juramentado, and the Malay amok are all culturally mediated forms of the same psycho-physiological state. Because we tend to associate these states only with the societies in which they originated, we miss the underlying connection. It is precisely this kind of thing that forms the study matter of modern hoplology. The only other remark that I wish to make after reading this fine book, is that it seems to me that it is only now that we are seeing the development of truly Filipino martial arts; up until the Second World War, I would say that the Filipino martial arts were simply a part of the spectrum of Southeast Asian martial arts, and I think they have to be seen in that context. To give just one example, weapons such as the kris, klewang, and parang, are found through out the Indonesian Archipelago, and not simply confined to the Philippines. I see the Filipino martial arts as forming the eastern part of a vast area covering the whole of what is today Indonesia, Malaysia, and the Philippines, and any study of their origins must take this into account. This book is highly recommended to any with an interest in the fighting arts of South East Asia. This book is an absolute gem. How often do you come across a martial arts book that is not just well written but genuinely, heartbreakingly funny? Mr. Salzman has already shown us he can write in his first book, Iron and Silk, the story of his two years spent in China teaching English and practicing wushu with Pan Qing Fu. The book was later made into a critically acclaimed film of the same name. In Lost in Place, the author lets us in on the secrets of his adolescence. Anyone who has ever been seized by the desire to shave his head, dye his pyjamas purple, and abandon the fast food of suburbia for the wandering life of a Zen monk will love this book. 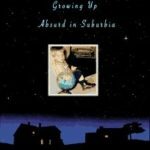 We follow Salzman through the perils of teenage life, goofing off at school and then frantically trying to make up, agonizing about dates, buying his first car, choosing what to study at university, and in general giving his long suffering family a hard time, and all of this while struggling between Eastern and Western worldviews. We meet some strange people he encountered in his attempts to become a Bruce Lee clone, such as the ominous Sensei O’Keefe, the rowdy and foul-mouthed master of the Chinese Boxing Institute, and his dreaded “cemetery sparring”. Apart from the stories of his various martial art experiences, some hilarious and some appalling, there are some well drawn scenes of his interaction with his father, who is described as a good natured pessimist, probably not a bad thing to be for someone forced to compete with the glamorous Bruce Lee for his son’s affections. There is a great scene of his father listening to an outpouring of his son’s existential angst. We get a picture of a gentle, mature man with a nice sense of irony. Salzman has written four critically acclaimed novels, one of which was a finalist for the LA Times Book Review Award. He is a great storyteller and this book will not let you down. Now here’s a book that’s stood the test of time. 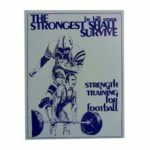 Some of you may be surprised that I’m recommending a book which is supposedly for American Football players, but quite apart from the fact that I consider the book’s approach totally compatible with martial arts training, there just isn’t that much available on weight training for martial artists, and this book is a classic that merits serious study by those interested in the subject. Other books on weight training which spring to mind are “Power Training in Kung Fu and Karate”, by Ron Marchini and Leo Fong (Ohara Publications, 1974), Hunter “Chip” Armstrong’s monograph on the subject of weight training for the martial arts, privately published, and available through the International Hoplology Society, and more recently Pavel Tsatsouline has become something of the flavour of the month. I hope to review Chip’s manual and one of Pavel’s books in future. Let me try to justify exactly why I think Starr’s book is important. First, Starr was way ahead of his time when in concentrating on what for want of a better word, I will call applied/supplementary weight training, i.e. weight training not as an end in itself, but for the benefits it can have for those seriously engaged in some other demanding form of exercise. A quick comparison with Marchini and Fong’s book should make this clear. The Marchini/Fong book is simply a competently photographed list of various weight training exercises. Some attempt is made to link the various exercises to specific movements in the martial arts, but it doesn’t go beyond the purely superficial. Enter Bill Starr, who was faced with just that problem as a strength coach for American Football. To cut a long story short, Starr came up with a stripped-down program that emphasized a core of just three main exercises: the bench press, the power clean, and the squat. These are all major strength building exercises working the major muscle groups. Interestingly, this list is similar to the three main techniques used by the power lifters (bench press, dead lift, squat). We are not talking pretty here, just strong. I was also interested to note that in one of Pavel’s recent books, he advocates just two exercises: the dead lift and the bench press. Given that the clean needs a fair amount of technique training under a competent coach, I would perhaps be inclined to substitute the power lift for the clean in the case of those who don’t have access to good instruction, purely in the interests of safety. However, I digress. Essentially, Starr’s program consists of doing 5 sets of 5 reps of each exercise. You increase the poundage on each successive set, and you make sure you get enough rest by having heavy, medium and light days. It’s actually a bit more subtle than that, and the variations are practically infinite, but that’s all the information you really need to get started. The key is to think in terms of developing overall strength as efficiently and simply as possible. I’ve got to admit it’s simplicity makes this my favourite strength training program. Before Chip Armstrong introduced me to this program when we were room mates together in Tokyo more years ago than I care to remember, I had dabbled occasionally in weight training, but with this program, and Chip’s coaching, I made rapid progress which I still fondly recall. I really enjoy squats and like Starr’s emphasis on lower body strength. In general, I find Westerners tend to over-emphasize upper body development, which makes them top heavy. By contrast, Donn Draeger, the well known martial arts scholar and researcher, and a top judoka who was instrumental in popularizing weight training for Judoka, was not only very strong overall, but had an extremely strong and very well developed lower body. Actually, it’s a bit unfair to compare Starr’s book and the Marchini/Fong book, since Starr’s has so much more going for it. He’s got sections on Body, Nutrition, and the Rehabilitation of Injuries., as well as sample weight training programs. The reason I mention the Marchini/Fong book is that someone looking for information on strength training for the martial arts is probably likely to come across it, or books like it, and Bill Starr’s book, which has so much more going for it, could very well be overlooked. This book is a nice overall survey of some selected fighting arts from the East, including what for the time of publication was quite a lot of good information on the Indian fighting art of kalaripayit (kalarappayattu), hereafter referred to as KP, to save me time trying to spell it, since every time I come up with a different version. Since the other arts covered (Okinawan karate, Japanese kenjutsu / swordfighting, Chinese fighting arts) are better known, and information in the form of books and articles are readily available, I will concentrate on KP in this review. “Kalari”, we are told, means battlefield or place, and “payit” means practice, so kalaripayit means “battlefield training or practice.” Previous to this, KP had received very little publicity, and I am not aware of any other books that have been published in English on it, with the exception of When the body becomes all eyes, by Phillip Zarrilli. Another creditable exception to the general lack of information is anthropologist Joseph Alter’s fine book on Indian wrestling, The Wrestler’s Body: Identity and Ideology in North India (University of California Press, 1992), but this is a scholarly book, not a hands-on guide aimed at the general public. I am not aware of much on the weapon arts of the Indian subcontinent, though I did recently come across a brief essay on thangkairol (Manipuri sword fighting) by Jonathan Kenoyer in Personal Growth Through the Martial Arts: Studies in Kendo, Fencing, and Indian Swordsmanship, edited by Kiyotaka and Lee (University of Wisconsin, 1977). There is some intriguing stuff here, and a lot of leads to explore; the relationship with Yoga, cross fertilization both within the various Indian arts as well as between the Indian martial arts and the martial arts of other countries. An enormous amount of research into the native fighting arts of India is waiting to be done. To digress for a moment, it is somewhat surprising that Indian fighting arts so far unfortunately do not seem to have had the attention they deserve. The huge size and amazing cultural diversity of the subcontinent deserve better than this. There is of course an overview of Indian fighting arts in Draeger and Smith’s Comprehensive Fighting Arts (Kodanshi International, 1980), which concentrates mostly on wrestling in Northern India, but it seems to have been cobbled together mostly from secondary sources. There has also been the occasional article over the years in HOPLOS, and more recently Hop-lite, the publications of the International Hoplology Society. Shortly before his untimely death in the early 1980s, Donn Draeger, who revived the study of Hoplology, was planning his next big project, which would have been the first trip of a series to make an overall survey of the fighting arts of the Indian subcontinent. His last field trip, if I remember correctly, was to Sri Lanka (Ceylon) in 1980 with Hunter Armstrong. I do know that Draeger was planning a trip to Assam in north east lndia shortly before his death, to examine the fighting arts of the Naga in particular, and hoping to work his way up towards the Tibetan border, and make contact with ethnic Tibetans versed in their traditional fighting arts. In 1986, the IHS made a preliminary field survey of the Rajasthan region, which is well known for its martial history, but was forced to put follow up trips on hold for a number of years due to lack of funds. This has now been remedied, and the Director of the IHS, Hunter Armstrong, and IHS Board Member, Mr. Karunakaran of Malaysia, have just returned from what it is hoped will be the first of a series of field trips to the Indian subcontinent. See the summary of the IHS Preliminary Field Report for details. (If you are interested in supporting IHS efforts in this regard, please contact us at hoplos@aol.com, or see our website at International Hoplology Society). Getting back to the book under review, in general the BBC appears to have been well advised, or perhaps, as professionals who are accustomed to researching things efficiently, they deserve the credit themselves. They have certainly managed to line up some outstanding masters and systems, among whom the better known ones are Hung I-hsiang of Taipei, a master of Chinese internal martial arts featured in R.W. Smith’s Chinese Boxing.. Masters and Methods; Otake Risuke Shihan of the Katori Shinto ryu, representing classical Japanese martial arts, well known from Donn Draeger’s writings as one of the foremost styles of kenjutsu extant today in Japan; and Higaonna Morio Sensei, also well known as a master and teacher of Okinawa Goju-ryu Karate. There are a host of other styles and teachers covered in less depth. For those who do not know of these three masters, the book will be interesting, but for those in the know, as it were, there is little or no new ground covered. Overall, I would say that my main criticism of the book, which is in general well produced, is that it is an etic work, that is, it is the work of outsiders, rather than of insiders (i.e., the practitioners themselves). What we have here is an intelligent selective survey by some thoughtful people who are accustomed to research, some of whom have experience in some or other martial art, but who are not both professional scholars and researchers of fighting arts, and emic (insider) practitioners themselves such as the late Donn Draeger was. There are a few glitches; someone has managed to switch a couple of action sketches. The illustration on page 165, purporting to be of Higaonna Sensei doing a strike to the ribs and a take down appears to be of Shorinji kempo, and should be on page 208, and vice-versa. Actually, that’s a good example of how it helps to be an insider/practitioner yourself. Another mistake which should have been caught is the spelling ‘daimio’ instead of “daimyo” (a Japanese feudal lord), on page 226. What’s the good of having a glossary if it’s not accurate? This book was originally intended as a companion volume to a BBC TV series The Way of the Warrior. For those who are interested in any of the arts or masters covered in this book, and who have not had the opportunity to see them in person, the video would certainly give them a far better idea than the written word, and I would strongly recommend that they make the effort to obtain a copy. Just watching a swordsman of the calibre of Otake Sensei in action is an education in itself. Having both the book and the video would be to have the best of both worlds. This book took me back a way down memory’s lane. I remember when the series of articles that this book is based on first started appearing in Black Belt in the early ’80s. It was immediately apparent that here was an authoritative and authentic voice. Mr. Hsu’s credentials as a kung-fu man are impeccable. Born in Shanghai, he was raised in Taiwan, where he had the good fortune to be accepted as a student by some famous masters, among whom the great Liu Yun Chiao seems to have had the greatest influence on him. Expert in traditional northern style kung-fu, Hsu moved to the United States in 1978, and began teaching in the San Francisco Bay area. We are told that the curriculum at his schools includes Baguazhang, Bajiquan, Changquan, Taijiquan, and traditional Chinese weapons. Fortunately for us, he combined his ability in kung-fu with a fine mind and the desire to communicate his vast knowledge to the public. Other factors which disturbed him were fake teachers and the Chinese mainland government’s promotion of the new competition base wushu. Thus The Sword Polisher’s Record became his way of polishing the kung-fu sword, “clearing up the misconceptions that are causing it to become dull and rusty.” The book itself is divided into eight parts: Knocking on the door; The Foundation of Kung-fu; Myth and Reality of Kung-fu Styles; The Role of Forms in Kung-fu; Mind and Body Training; Usage: The Soul of Kung-fu; Masters and Students; and Kung-fu Today. Each part contains between three and eight short essays relating to that heading. Any thoughtful reader will find much of value in this book, and I have no hesitation in recommending it to any serious martial artist. I remember seeing an article, I think by Jane Hallander, in a martial arts magazine more than a dozen years ago, with an intriguing account of a Wing Chun type style called pao fa lien. I thought it an exceptionally interesting article, and it certainly made me wonder what other forms of Wing Chun were still alive in China and its neighbouring countries. To most Westerners, Yip Man’s style has become the standard when it comes to Wing Chun, and so it was fascinating to learn of the existence of other branches. 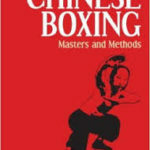 Thus, it is with great pleasure that I draw your attention to this book, which could so easily be overlooked and categorized as just another wing chun text. Not only is this a groundbreaking book, but it could be the start of a new genre in martial arts books. What we have here is a fine compilation of information about no less than eight styles of Wing Chun and briefer mention of half a dozen others. 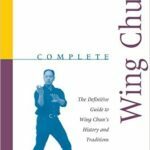 The authors themselves are from diverse backgrounds and styles of wing chun, and I can only applaud their vision and maturity in working together to present such a wide range of information to the martial arts public. Very briefly, they are Robert Chu, resident in California, a practitioner of Yip Man, Gu Lao, and Yuen Kay-San Wing Chun styles; Rene Ritchie, of Eastern Canada, a student of the Yuen Kay-San Wing Chun style; and Y. Wu who resides in Singapore and practices the Nanyang and Yip Man Wing Chun styles. Since most readers are probably more familiar with the Yip Man style, I’d like to focus on the lesser known styles in this review. You’ll be glad to know that pao fa lien is one of the eight styles featured in this fascinating volume, and it was the first one that I turned to when I inspected the book. We are told that the art is composed of 10 empty-hand sets, four wooden dummy sets, and over a half dozen weapon sets. The three trademark empty-hand sets of wing chun, siu nim tao (little idea), chum kiu (seeking bridge), and bui jee (darting fingers), make up the basic level of forms training. While the weapons sets focus on the familiar (at least to wing chun practitioners) long pole and double knives, there are also other weapons such as the 13 section whip, the scholar’s sword, the trident, and the Kwan dao. It seems that there are two varieties of sticky hands practice within the various wing chun systems, one resembling more the pushing hands of tai chi rather than the “rolling” sticky hands that are more familiar to most of us, and the pao fa lien system uses the “tai chi” variety. Among the other little known styles is Nanyang Wing Chun, which, we are told, includes the three typical sets of wing chun, the wooden dummy training, and the typical weapons: the pole and the double knives. In addition, it has a number of other empty hand sets, one of which seems to indicate some kind of relationship between Wing Chun and white eyebrow boxing (Pak Mei). A fascinating insight was the mention of the so-called “separate techniques.” In the Gu Lao style, no use is made of forms. 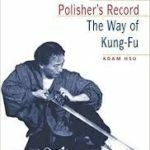 I find this emphasis on perfecting single techniques absolutely fascinating, and it fits in with what Adam Hsu has to say about the importance of perfecting single techniques in his new book, The Sword Polisher’s Record, where he asks: “Is it necessary to learn forms?” We are also told in the section on Yuen Kay-San Wing Chun, that some previously “separate” techniques have been formalized into training sets. It makes me think that this movement of techniques from single, separate techniques into sets is the norm, at least in Chinese boxing styles, and would seem to indicate that most styles start with a group of separate techniques which then gradually coalesce into a set or sets. While this book is probably of most value to wing chun and jkd practitioners, I hope it will serve as a model of more comparative studies of the often amazing variety within a single system. Two related styles from Fukien, Emperor Fist, aka Grand Ancestor Fist, and Five Ancestors Fist, and on the Okinawan side, Uechi-ryu and Goju-ryu, are prime candidates for this kind of study. We need more books like this. As far as I know, this is the first book on Five Ancestor Fist kung-fu to be published in English, and I think many of those who practice Okinawan karate, particularly Uechi-ryu and Goju-ryu, will find it of great interest. Even a cursory glance will establish many points in common with Okinawan karate: the sam chienlsanchin stances and forms, the technique known as “holding the shield” in Ngo Cho and as “tiger mouth’ or tora guchilmawashi uke in karate, and the use of the weapon known as the sang te pi in Ngo Cho and the sai in Okinawa, to give just a few examples. Mr. Co tells us that the art of Ngo Cho kun is a “Shaolin” martial art from Fukien province on China’s east coast, and we know many famous Okinawan masters traveled to Fukien to study Chinese martial arts, among them Higashionna Kanryo, and later his pupil Miyagi Chojun (who later founded Goju-ryu ), as well as Uechi Kanei of the Uechi-ryu. The author states that Miyagi probably settled in the central or southern region of China, where he studied Ngo Cho kun. As far as I know, Miyagi Chojun never actually lived in China, although he did make several trips. His teacher, Higashionna Kanryo, did spend many years in Fukien. Perhaps Mr Co has confused the two. Miyagi Sensei is believed to have visited Fukien in an unsuccessful attempt to make contact with Higashionna’s teacher, and also to have visited the Tsing Wu Athletic Association in Shanghai, which was founded by the legendary Huo Yuan-chia. I, too, have heard the story that Miyagi Sensei was exposed to Pa Kua (aka Ba Gua – Eight Trigrams Boxing), and like Mr. Co, I tend to discount it. Mr. Patrick McCarthy, in his recently published Bubishi, states that he believes that Higashionna’s teacher, Ryuru Ko, was a shoemaker named Xie Zhongxlang and the founder of Whooping Crane gongfu. I have also heard it suggested that Ryuru Ko practiced Tai Cho (Grand Ancestor Boxing), and an elderly Chinese practitioner of Tai Cho interviewed in Penang, Malaysia in 1979 by the International Hoplology Society’s field research team gave a genealogy which seemed to confirm this. I personally believe that there was probably a fair amount of overlap involved, in that the same person may well have practised several styles, either consecutively or simultaneously. Cross- training is nothing new, and styles from a certain area may well have shared many characteristics in common, as the result of local customs and culture, not to mention the physical environment itself. According to Mr. Co, Ngo Cho Kun is derived from five different styles (including White Crane and Grand Ancestor/Emperor boxing) and consists of 44 empty~hand forms, 12 weapons, strength and conditioning training, prearranged fighting drills, and free-sparring practices. 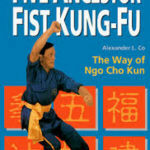 Later he explains that the forms are divided into two categories; either chien (tension) or kun (fist) forms. (A similar division exists in Goju-ryu karate, between sanchin and tensho on the one hand, and the other traditional forms). The book shows a representative form from each category. On the technical side, the most interesting thing that I noted was the use of a waist twisting movement in the sam chien form, presumably done so as to lend more power to the subsequent strike. I have not encountered this movement in my practice of Gojuryu, nor have I observed it in Uechiryu, though since my knowledge of Uechi-ryu is limited, I suppose I could have missed it. But this is, I think, a point of technical difference. My whole image of Goju-ryu and Uechi-ryu is of styles which keep the upper body facing toward the opponent. I’d be interested to learn more about the rationale involved here. As for the weight training exercises, the iron or stone weights known as chio so seem to be the exact equivalentof the Okinawan sashi. A list of the weapons used in ngo cho kun is given, and there are photographs of some of the weapons. The sailsang te pi is shown, as are a variety of staff weapons, the straight sword, and the plum spear, as well as a weapon with the intriguing name of the “horse cutting knife”, which seems to be the equivalent of the Japanese nagamaki. To sum up, this book would probably be of most interest to those practising Okinawan karate or perhaps a related Fukien province fighting art such as White Crane. It certainly helps fill a gap in our knowledge of the fighting arts which originated in Fukien, among which we can clearly count Uechi-ryu and Goju-ryu. Whatever style you are currently doing, the emphasis on combative principles, and the examples given in this book, will provide you with plenty of food for thought. 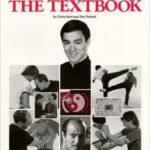 Before reviewing it, I took a look at my bookshelves for similar books, and came up with the following: Jeet Kune Do: The Art and Philosophy of Bruce Lee by Dan Inosanto, Know Now Publications, 1980, A Guide to Martial Arts Training with Equipment, again by Dan Inosanto, also Know Now Publications, 1980; and Jeet Kune : Entering to Trapping to Grappling, by Larry Hartsell, Unique Publications, 1984. I will discuss the books together, so as to give you a clear idea of their content. The first, Jeet Kune Do: The Art and Philosophy of Bruce Lee, gives a pretty good overall view of what Jeet Kune Do is all about, while A Guide to Martial Arts Training with Equipment gives less history and philosophy but a lot more in terms of stuff of immediate value. 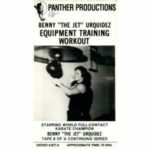 Essentially it’s a pictorial essay of how to use the heavy bag, the foam shield, the top and bottom bag, (what Benny Urquidez calls the timing bag), the speed bag/ball, and the focus gloves/pads. Most of the space is devoted to the heavy bag and the focus pads, and the drills are well-illustrated and backed up with pictures of applications below. Pretty neat stuff, clear and easy to follow. It’s the kind of stuff you can immediately see the value of, and if you’ve got the equipment, and a good training partner, you can start doing immediately. You want to watch yourself with some of the elbow strikes, though, you can really take the skin off your elbows with the up and down elbow strikes on the bag if you’re not used to it. When I originally bought the book I was a poverty stricken graduate student, and I remember looking enviously at pictures in the book of what I guess must be Danny Inosanto’s dojo. Heavy bags, wooden dummies, speedbags, weapons racks, foam shields, and focus gloves, you name it. Looks like a great place to train! Hartsell’s book, by contrast, doesn’t show any equipment. As the title suggests, he is looking at a particular aspect of Jeet Kune Do. Got some nice stuff if this is what you are looking for. Again, if you’ve got a good training partner, the book provides a basis for experimentation. Now let’s turn to the book under discussion, Jeet Kune Do: The Textbook.. First, unless there’s another book out there on JKD that I haven’t seen, this looks to be the most complete overall of the four books. On the other hand, this means that it is less specialized in some respects, so if for example you are looking specifically for JKD grappling, you should go for Hartsell’s book. So what does this book have that the others don’t? Well, for a start, it’s got a lot of material on sensitivity training in the form of two person sticky hand and trapping drills. If that’s what interests you, there’s a lot to explore here. Trouble is, it’s not that easy to get a good feel for this stuff unless you are taught by someone who really knows what he is doing in this area. Ideally you need to learn from a competent JKD/Wing Chun instructor, but for those who don’t have access to such an instructor, you might want to take a look at those instructional videos out there on sticky hand type stuff. I know Paul Vunak has some videos out. Or better still, if you get the chance to attend a JKD/Wing Chun seminar, go for it. This would at least give you the chance to understand what is going on here. To summarize, the book covers a lot of ground. There is a lot of good, solid content in this book that will repay serious study. Apart from the two person training mentioned, the book looks at different forms of attack and counter attack, timing and rhythm, as well as tactics and strategy, and training methodology. I would say it is well worth the price. If you’re not sure just what ‘Chin na’ is, think of it as a kind of Chinese jujutsu and you won’t be far off. As such, this video series should appeal to quite a wide audience. At the very least, as a somewhat specialized art, Chin na should be of interest to all who study some kind of Chinese martial art, whether it be “hard” or “soft.” (Mr. Cartmell’s got a nice application for “Buddha’s warrior attendant pounds the mortar,” which might interest the Tai Chi guys). Those who study jujutsu and aikido will surely find it interesting to compare techniques with a similar Chinese art, as will those judoka who have an interest in the self-defense aspect of judo. It should be mentioned that the videos are a kind of supplement to the book, Practical Chin na: A Detailed Analysis of the Art of Seizing and Locking, by Zhao Da Yuan, and translated by Tim Cartmell. We are told that Zhao Da Yuan was then the chief martial arts instructor at the China People’s Police Officer’s Academy. The videos, however, seem to be Tim Cartmell’s unaided effort, and a very good effort they are. The presentation is clear and the techniques are easy to follow. It’s nice to have the book too, but it’s certainly a lot easier to follow the videos. Almost anyone with a bit of background in some kind of grappling art and a training partner should be able to get through the techniques quite easily. Cartmell covers a lot of ground and presents a wide variety of techniques that should make for some interesting training sessions. I know I would certainly enjoy working through the techniques with an interested partner. There’s one sequence where Cartmell’s got his partner in a pretty standard elbow control, and then he suddenly moves out and pulls him down. Now it looks to me like it would be more efficient just to bump him off balance with the nearest hip, and then pull him down, but I’m open to argument. That’s half the fun of cross-training, being exposed to new approaches. One of the things I like most about this set of videos is that there seems to be very little baggage attached. What I mean by this is that while I find certain martial arts, such as aikido, to have much of value, not to mention some pretty slick moves, which they have got down very well, I am reluctant to commit myself in studying the whole art, including the philosophy, etiquette, and so on, when really all I want to do is to work on some grappling stuff for my own pleasure and (hopefully) improvement. If this is your attitude too, then these are the videos for you. 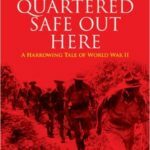 A few years ago, when I visited Hunter Armstrong in Arizona for the Second Annual IHS Board Meeting, he recommended “Quartered Safe Out Here” to me. Being a great fan of Fraser’s character, the Victorian scoundrel and poltroon Flashman, who appears in a series of historical novels which cover some of the most exciting military events of that period, I immediately seized upon it, with a mixed feeling of delight of coming upon a new Fraser book, interspersed with curses that I myself had somehow managed to overlook it. Just as an aside, the Flashman books are absolutely marvelous, if you have a kid who doesn’t have much interest in history, but has to take it as a subject, or if you have to quickly give yourself a bit of background in one of the many campaigns fought by the British Army of this period, I can’t think of a better starting point. Fraser’s book covers the campaign from the eyes of a young private in a regiment from north-west England, a very different perspective from the more common officers’ memoirs. Fraser has a brisk, no-nonsense manner, and a conversational style that makes it seem as if he is talking directly to you. He deals with the sights and sounds of military life in his own inimitable fashion, coming up with some fascinating stuff. For example, there’s an intriguing reference to Cumberland wrestling. The respect Fraser has for the men he served with is readily apparent, and his fascination with the people of the border between England and Scotland culminated in his later non-fiction work, The Steel Bonnets, which goes into the bloody history of the border is some detail. Personally, to give just one example from Quartered Safe Out Here, I found of particular interest a scene where he talks about how a fallen comrade’s equipment was divided up among the members of his squad. Each person takes something as a keepsake. They didn’t take his personal effects, what they did was to exchange items of military gear with the dead man. There seems to be something universal about this, and I can easily imagine this custom arising in different cultures throughout the centuries, be it among Roman legionaries, Vikings, or Mamluks, though it might take somewhat different forms within different cultures. We know that in the Royal Navy, at least in the Napoleonic period, that a deceased seaman or officer’s personal effects where auctioned off before the mast, and there is a reference to a similar custom among the present day British SAS in Andy McNab’s Bravo Two Zero, an account of McNab’s experiences during the First Gulf War. Reading personal accounts like these, we can learn things about the nature of human behaviour and particularly the nature of the individual’s response to combat, that large scale histories are unable to convey. The small group, the personal level, the individual’s response to combat: this is the raw material of hoplology. Highly recommended. This book is an impressive achievement and something of an eye-opener. Similar to Arthur Wise’s The Art and History of Personal Combat, it is far more detailed and lavishly illustrated. Sydney Anglo is an historian and a professor at the University of Wales, who specializes in the Renaissance period. He writes clearly and well, and his depth of knowledge and research is apparent. He is aware of the immense problems involved in writing a book such as this, and in his Introduction modestly says he thinks of it as an experimental essay. The book is illustrated with an amazing array of extant fechtbuch. While I was aware of some of the fechtbuch he mentions, I hadn’t realized how many more had survived. Professor Anglo cites 17 collections of manuscripts from all over Europe which he has drawn on in the course of his research with special reference to the collections in Glasgow, Leuven, and Vienna. He particularly singles out a hitherto little known collection of books and manuscripts on European Combatives which had been put together by the shipping magnate Robert Lyons Scott, and bequeathed to the City of Glasgow, together with his collection of arms and armor. Anglo draws on a vast number of original sources covering most West European Languages (English, German, Dutch, French, Spanish, and Italian). For example, Anglo cites over 30 of the so-called fechtbuchen in a preliminary list of abbreviations of regularly referred to texts. Among other things, I was fascinated to learn that the great artist Albrecht Durer had also issued a fechtbuch, and delighted to see some examples of his illustrations. (See illustrations 132-135 on page 185). Anglo puts to rest for good the oversimplifications of those fencing historians who see the history of Western swordsmanship as a linear progression of increasing sophistication culminating in the triumph of the point over the edge in the form of modern fencing. He shows clearly that there have always been a wide variety of swords in all shapes and sizes, and that even the earliest texts exhibit sophisticated technique. Anglo’s book will be welcomed by those with any interest in the subject. It is both a landmark and a starting point for future research into specific areas of interest. In recent years there has been something of an upsurge in interest in the history of European combatives, and a number of societies, such as the HACA, have been formed to research, recreate, and practice medieval and renaissance fighting arts. Moreover, several translations of specific texts have become available recently. Talhoffer’s book has been translated and edited by Mark Rector and is available under the title of Medieval Combat. This well produced video was a pleasure to review. It is a British Production, done by the same people who produced “A Blow by Blow Guide To Swordfighting in the Renaissance Style,” which I also recommend, and would like to review in future. The video focuses mainly on the English longbow, but there are brief scenes featuring the composite recurved bows of the East, the crossbow, and even Japanese kyudo, and it traces the development of archery up to the present day with some well-done period vignettes. The video starts off rather slowly, reviewing the process of making a longbow, but soon gets into some interesting statistics about the use of the longbow in battle. The English longbow proved its worth at the battles of the Hundred Years’ War: Crecy, Poitiers, and Agincourt, humiliating and decimating the proud French knights time after time. One recalls Oman’s oft quoted account of the effectiveness of the longbow: William de Briouse was wounded by an arrow that passed through his mail shirt, his mail breeches, his thigh, and the wood of his saddle frame, and killed his horse. In fact, that tremendous power is illustrated by an amazing sequence showing an arrow punching through a metal plate. The video examines effective bowshot range and concludes that although 200 yards was possible, it was probably under 100 yards. Some of the statistics which I have read about bowhunting in Africa and the U.S. would seem to suggest that this is a conservative figure, and that effective range is very often much closer, though of course somewhat different factors come into play in the case of hunting. There is a nice scene illustrating just how deadly archers can be showing an armored knight walking 200 yards uphill. Tests showed that this would take two minutes and 17 seconds if he wished to arrive in any kind of shape to fight. Archers could keep up a steady barrage of arrows at the rate of 12 arrows a minute without any difficulty. Work it out. The video points out that the main limiting factor would have been the supply of arrows. There are all kinds of other interesting insights; for example, the archer was highly respected and well paid for his work, even if he was of lower birth and rank. One contemporary Frenchman is quoted as commenting rather sourly on the attention from the ladies that elite English mercenary bowmen attracted. There is also a nice section on crossbows, showing different types and their various loading mechanisms, some of them most ingenious. I know bowhunting has become popular in the States; is anyone out there hunting with a crossbow? At one stage I heard about people who were hunting warthog and bushpig in South Africa with crossbows. I’d be interested to hear from anyone involved with that kind of stuff. The discussion of the Eastern composite recurved bow was also interesting. Again the process of making such a bow is explained, and some interesting statistics are given. We are told that such bows hold the records for distance shooting, and the Seljuk Turks were bowmen par excellence. I would have liked to have heard something about the Mongols in this regard, but there was no mention of them. The quality of the video was good, and I enjoyed the various period recreations. As far as I could tell, the costumes were authentic, and in general I thought the producer had done a first rate job of research. All in all, a very informative and entertaining video which should appeal to a wide range of people. 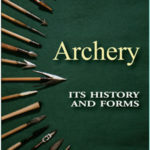 I heartily recommend this video to anyone with an interest in archery and its history. I was more than satisfied with this video, which I bought several years ago. It gives a clear and through introduction on how to use a large number of different pieces of training equipment. Starting with learning how to wrap the hands properly a la boxing, and continuing with an explanation and demonstration of shadow boxing, it shows how to use the ring and the ropes, the use of the heavy bag and other pieces of training equipment. Actually, Benny shows three kinds of heavy bag: the traditional one, a modification he designed to help practice uppercuts, and a long bag. Benny shows how to develop timing, distance, speed, and impact through the use of these and a variety of other training aids. The tape is probably most useful to those martial artists who are just starting to use such equipment, or those who are training at dojos that make little or no use of such equipment, and thus lack a pool of knowledge of how to use such equipment that can be passed on. There’s a nice sequence of Benny working on the heavy bag, round about the halfway mark. He then looks at the long bag, which is used to develop impact using shin kicks, knee and elbow strikes. He also does some neat stuff with the regular heavy bag, which he calls “dancing with the bag.” Essentially it’s just moving around in time with the bag, sort of sticking to it, playing with it, moving in unison with it. This was nice, I liked this concept. I think I’ve seen some bagwork like this advocated by some tai chi guys in the past. Working with the timing bag/ball stresses accuracy. I liked Benny’s approach here, as in other parts of the tape. I hate to admit it, but I got myself a bag like this when I was a beginner in karate, and I got really discouraged when I couldn’t do much with it, and gave up on it. Because I lacked the instruction such as this tape can provide, on how to use the ball effectively, and an appreciation of what it could be used for, and what its limitations were, it was largely wasted on me, so I never learnt to use it properly until a long time afterwards. Next, the focus gloves/pads. Now that’s my baby! Got to admit I really like these. They bring back fond memories of working out in the courtyard of my apartment block on hot, muggy Tokyo nights with my Aussie mate, Mark “Popeye” Bromhead. We must have gone through just about every possible punching and kicking combination, and then some. I guess you can tell they’re my favorites! If I could only use one piece of equipment, I think there’s a good chance this is what I would go with, though I hate to cut out the heavy bag. There is just so much you can do with the focus pads, they are easily portable, and they give great feedback. When I was teaching karate, I liked to start beginners, especially children, on these, instead of on the bags. I think it takes a while to build up the strength to work the heavy bag properly, and there isn’t the same danger of beginners injuring their wrists and elbows on the focus pads. When I do karate/self defence type stuff with my son, just about everything we do is based around the focus pads. Personally, I like to mix in more controlled kicks and make use of the knee, head, backfist and elbow when working with the focus pads, than is shown in the video, but if you’ve never used them before, Benny certainly gives a sound introduction. Play around with them enough and you’ll work out the rest for yoursel! Benny stresses that the speedball (which I would call a pear-ball), is used to develop good hand-eye coordination, and to build up the shoulders to accustom them to keeping your hands up. Again, this kind of introduction can save you a lot of time and trouble. Apart from the basic sequences Benny gives, I’d like to suggest you add a backfist/elbow combination, using the same arm. It works pretty well; give it a try. The tape concludes with power shield and Thai pads training, and the use of the medicine ball. Watching this tape brought back some good memories of seeing Benny work out under the supervision of his brother Arnold in Tokyo in the late seventies. They were over with “Monsterman” Eddie Everett. Must have been part of the World Martial Arts Championships, a series of matches put on by pro-wrestler/entrepreneur Antonio Inoki. Actually, it’s only on viewing the tape again recently for this review that I realized just how much using such training aids affected my karate over the years. I consider myself a traditional Okinawan karateman, but I also feel that quite apart from personal progress which I ascribe to the use of training aids such as the focus pads, as a teacher, I found that I could bring students along much faster using such equipment. Let’s be quite clear on this, I’m not advocating that you switch over to only training with equipment, and abandon say traditional karate for kickboxing or whatever. I’m a strong believer in karate basics, but I think judicious use of such aids as are featured here can only benefit you, and I highly recommend this tape to people who are looking to supplement their training.